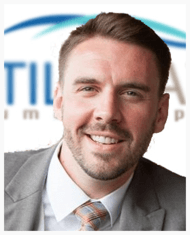 Chris is a Talent Acquisition professional with 7 years of experience with a specialization in identifying top IT talent for commercial and public sector clients in the DC market. Chris has successfully developed sourcing and talent acquisition strategies for large and small IT services companies with a particular emphasis on niche IT skillsets. He has set himself apart from other IT Talent Acquisition professionals by integrating seamlessly into his customer’s business process and tirelessly pursuing a deeper technical understanding of the technology that drives the talent needs of his clients. Chris has his Bachelor’s degree in Communication from Radford University where he was also a 4 year member of the university’s men’s soccer team. Chris proudly volunteers with Hire Heroes by providing career coaching and mock interviews for Veterans who are interested in pursuing careers in IT.